Enter an alternate WWII-era world where history and fantasy collide! Leading an army of ruthless officers and unearthly creatures, Adolf Hitler marches through Europe, leaving behind a trail of death and destruction. With his powers on the rise and his armies on the move, it falls on you and your team of elite soldiers to cut deep into the heart of the Third Reich and strike a fatal blow to Hitler’s ever-growing legion of evil! 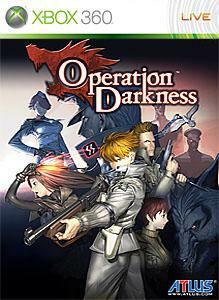 Learn more at www.atlus.com/operationdarkness Strategy RPG / Single Player / 4 Player Online Co-op.